Are you irritated, frustrated, angry or even desperate with your dog’s inappropriate, embarrassing, or destructive behaviors? Don’t worry any longer! You have come to the right place. Let Space Coast Bark Busters help you too! 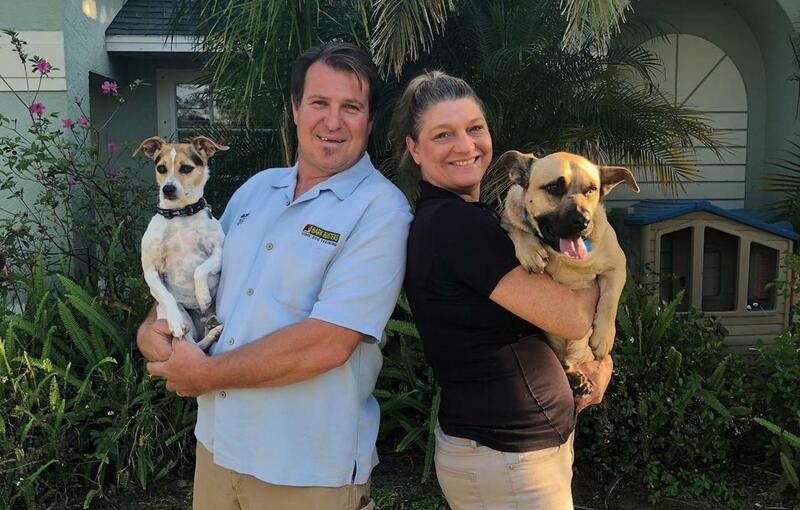 Why Bark Busters Space Coast? We come to you! Dogs learn best when they can completely focus on the owner, in an environment that is familiar, quiet and free of distractions. 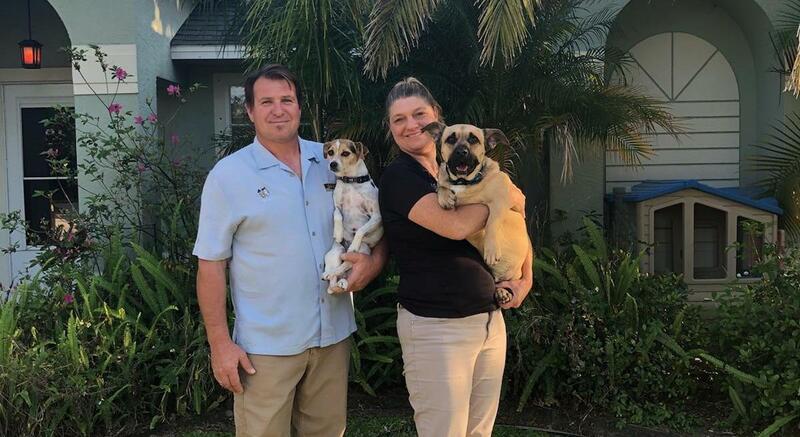 Coming to your home for dog training allows me as a behaviorist to assess the current relationship so I can custom tailor dog training exercises that properly order your pack, with you as the leader. Our methods are non-physical, no shock collars, prong collars or treat packs on your belt. It is the best system for re-training “problem” dogs and turning them back into happy, settled family pets. 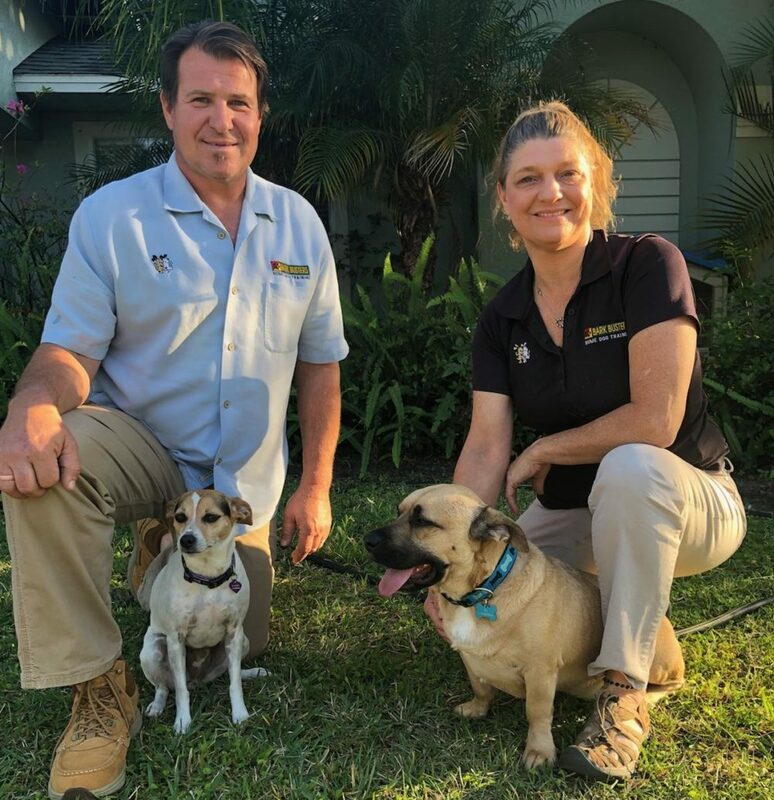 Bark Busters was founded in Australia in 1989 by Danny and Sylvia Wilson. Bark Busters at-home, dog obedience training expanded into the United States in 2000 and is currently in seven countries around the globe. 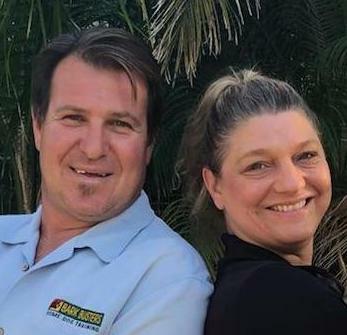 The Wilson’s have built a worldwide network of trainers for the sole purpose of training owners how to keep their canine companions by putting the owner in control. Rehousing and euthanasia of dogs if far too often due to completely changeable behavioral issues. Our dog training methods are designed to enhance the emotional human-canine relationship, developing a balance of trust, respect and bonding. Bark Busters believes in its method so strongly that we offer Guaranteed Lifetime Support. Bark Busters will return, free of charge, to work with you if any new behavioral issues arise or you just need a refresher course, for the LIFETIME of your dog. If gives you peace of mind, knowing you have a training partner for the life of your dog. We will teach you to communicate with your dog in a language he understands. Your dog can’t speak English, so we guide you to communicate with your dog using voice tones and clear body language so he understands what you are asking him to do. You’ll learn how to eliminate “bad dog” behaviors like puppy nipping, nuisance barking, housebreaking, destructive chewing, jumping up on visitors, pulling on leash, or more complex issues like serious aggression and separation anxiety. Every day we have the joy of seeing how much better our clients’ relationship with their dog is, when they both speak the same language.